16 days until the Boston marathon. This will be a somewhat personal post, so if you aren't really interested in that type of stuff, please feel free to stop reading. The marathon is just over two weeks away, and I have my number. My excitement has been muted, however, by concern for my father. He's 72, and his health has been declining in the past few years. Recently, because of his many problems, he's had difficulty walking, and as of two weeks ago he has obtained a wheelchair. There's been some discussion of him having to move to a nursing home. But he's continuing to have other problems. Last week there was some problem with his feet. Yesterday he was taken to the hospital because he was weak and nauseous. He's back home, I think, but I don't have any details. So I've had some background anxiety. When I get to work and check my e-mail, I half-expect some additional worrisome news from my family. Last weekend I did my last really long run - 22 miles. Most of this was along a canal that runs through our town all the way to Old City. 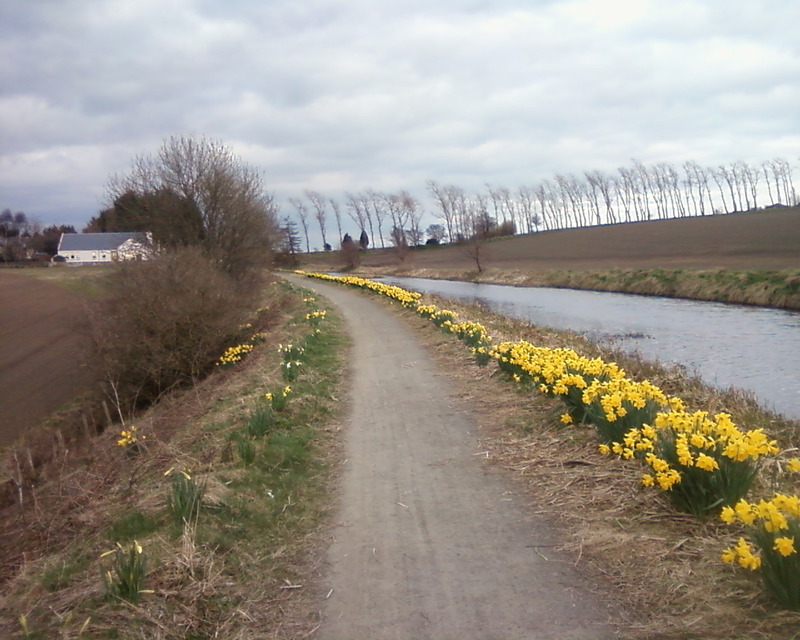 It was slightly breezy, but the daffodils were out. 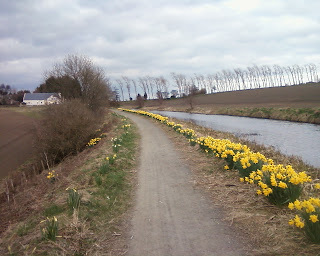 Spring seems to be coming as slowly as possible this year.